The Zoo Idaho Zoological Society’s mission is to promote community involvement and financial support to benefit the mission, long-range design, expansion and accreditation of Zoo Idaho. 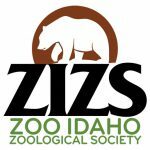 Become a Member of the Zoo Idaho Zoological Society Today! Your support is what makes our efforts all worthwhile. By supporting the Zoo Idaho Zoological Society you help to fund new exhibits, expand education programs, and provide an invaluable asset to Southeast Idaho. Every gift, large and small, is of critical importance to the success of Zoo Idaho. Consider making a donation of whatever you can today! NOTE: Clicking the “Donate Now” button above will take you to a secure donation page set up by the Zoo Idaho Zoological Society for the purposes of raising money for the new zoo entrance. Thank you in advance for your support. Sign up for the Zoo Idaho Zoological Society email newsletter to receive notifications and updates from the Zoo Idaho Zoological Society throughout the year. Visit our extended zoo family (Reciprocal Zoo Admissions) where Zoo Idaho Zoological Society members receive free or discounted admission to zoos and aquariums across the country. Invite one of Zoo Idaho’s wild and wonderful members into your family today! As a zoo parent you will have the enjoyment of knowing that your contribution is helping Zoo Idaho and the welfare of the animals. Learn how to adopt an animal by clicking here.